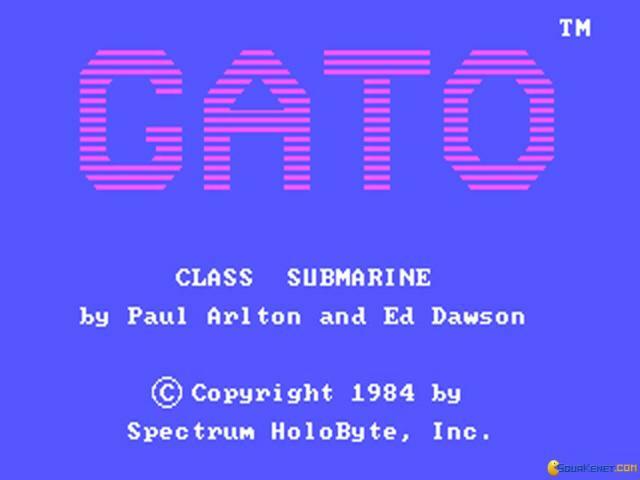 Although Gato might once have been impressive stuff, time has not been kind to it, and no one but the most forgiving of retro heads is likely to find anything of interest here. 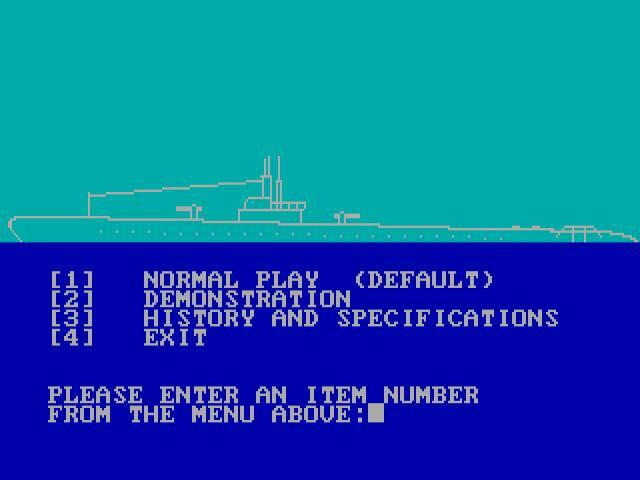 It was one of the first of its kind but now it's just too basic and awkward to provide much fun and you're better off with Silent Service or Das Boot if you want some old-school submarine action. 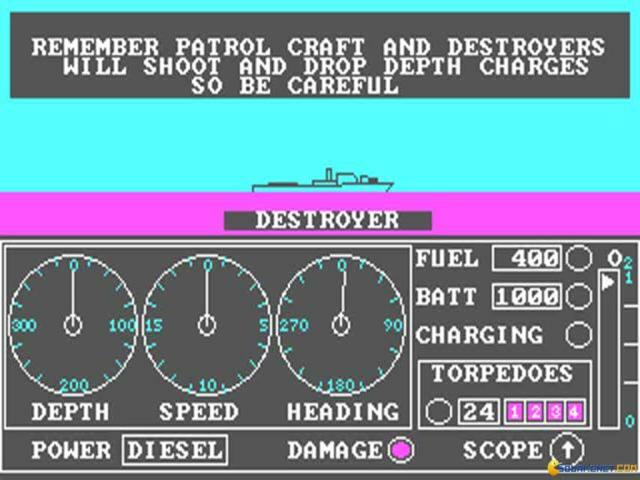 The game is essentially a real time sub simulator, where you are the commander of US sub in the Pacific during World War II. As is fairly typical for the genre, you play through a series of missions where you must navigate hostile waters with the goal of seeking out and destroying enemy ships and subs. 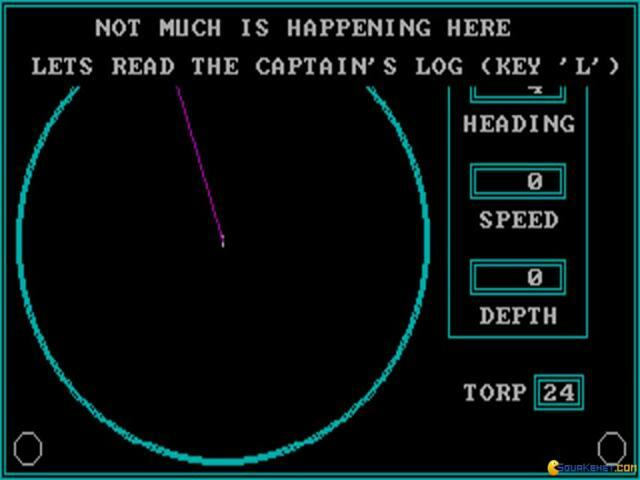 As commander, you have to worry about pretty much every aspect of the sub's control, from navigation to weapons and everything in between. 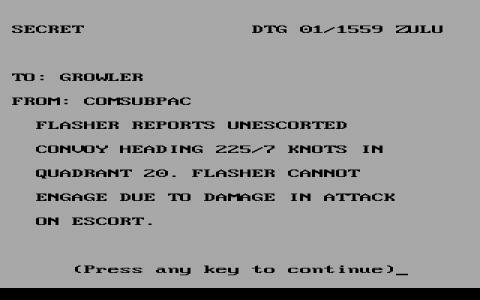 Everything happens in real time, including combat, so you need to keep your wits about you at all times, juggling the various aspects cleverly in order to keep your crew alive. Gato deserves some points simply from a historical perspective, as it is one of the earliest examples of the genre. However, looking at it today, it hasn't aged well, unlike many games from the period and now turns out to be quite insufferably frustrating. Without instructions, it's very hard to figure out what you're actually doing, thanks to a poor interface which is confusing and less than intuitive. 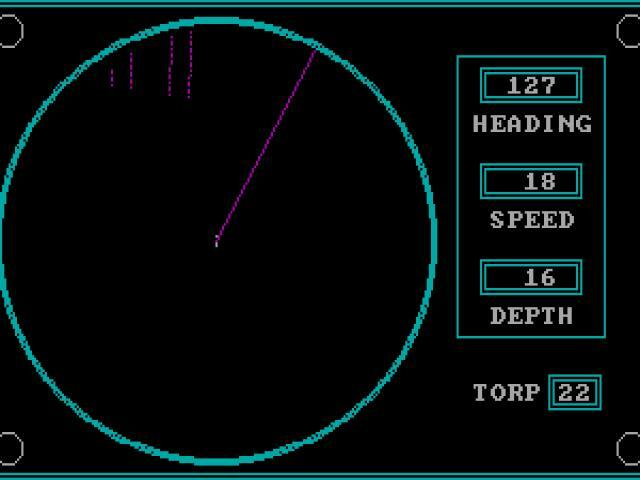 The minimalist graphics and sound can easily be forgiven but the awkward gameplay can't, so unless you're a diehard sub fan, steer well clear of this. 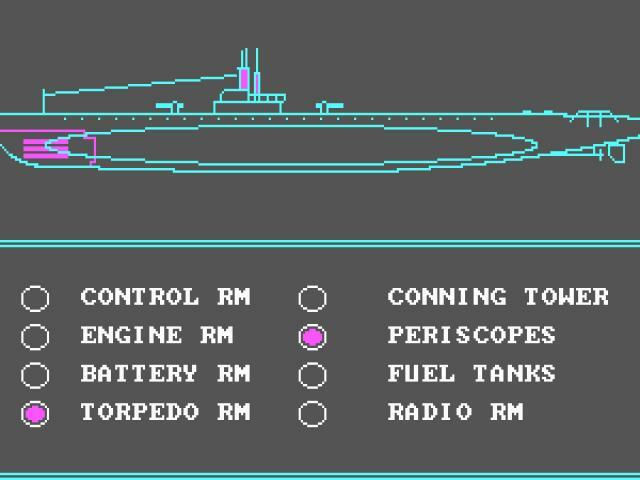 To be perfectly fair to this game, the only reason to return to it is if you're interested in the history of submarine sims. There are lots of better titles out there, among which the entire Silent Hunter series is so much better from all points of view. However, if you decide to give this one a try be warned, it's very taxing on those with little patience and those who aren't willing to spend lots of time with guides, manuals and how-to guides. The game was released back in 1984, so don't expect the graphics to be anything to brag about. 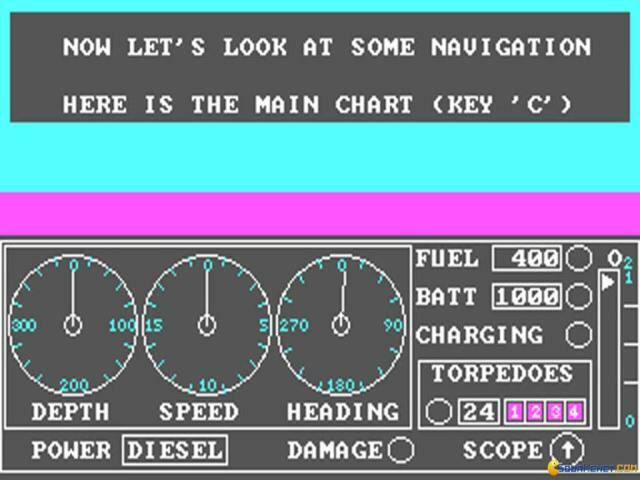 Your interface is minimalist, rough but usable. 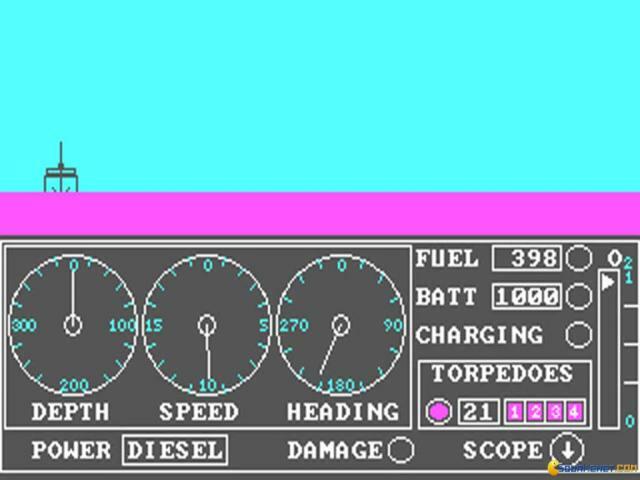 The game leaves a lot to the imagination, as the CGA graphics were not too permissive. The ocean is a 20 quadrants chess like table in which you will find missions. These missions generally involve torpedoing different targets while trying to evade other submarines or being spotted by the enemy. The most frustrating element of the game is generated by the randomness of getting spotted. You rely solely on your luck when you decide to surface and launch a torpedo, and the chances to actually hit your target also feel random. 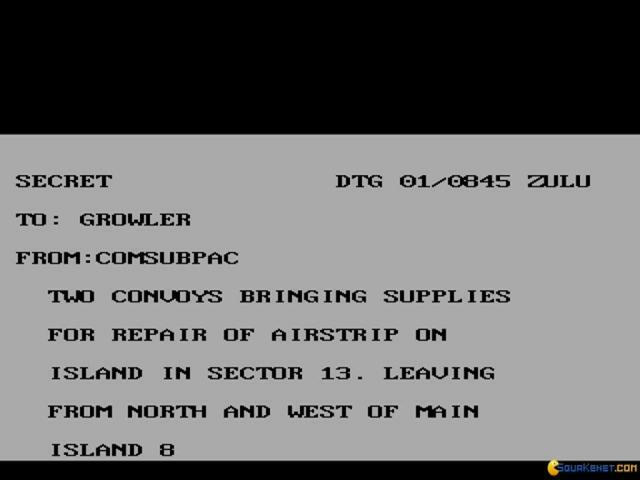 Other than that, after just a few missions the game pretty much exhausts its mission types so don't expect a long lived game with lots of options. But, as I said, Gato is best played just to see how the state of submersible games was like in the pioneering age of mid 1980s.